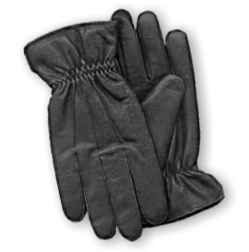 Our duty cut resistant glove is constructed with a premium Quality Cow Hide Outer shell and DuPont® Kevlar® knitted liner, which offers a significant amount of cut/slash protection from razors, knives, and other sharp objects. Designed as search and duty glove, it provides the dexterity and protection law enforcement officers need for everyday duties in the field. Please note this glove is cut resistant, and not cut proof.